Beautifully set in the rural English countryside, Downgate Villa not only makes the perfect spot for a rural retreat but also is not too far away from all our favourite local West Sussex and Hampshire attractions. Downgate Villa is the ideal place for a peaceful family getaway. 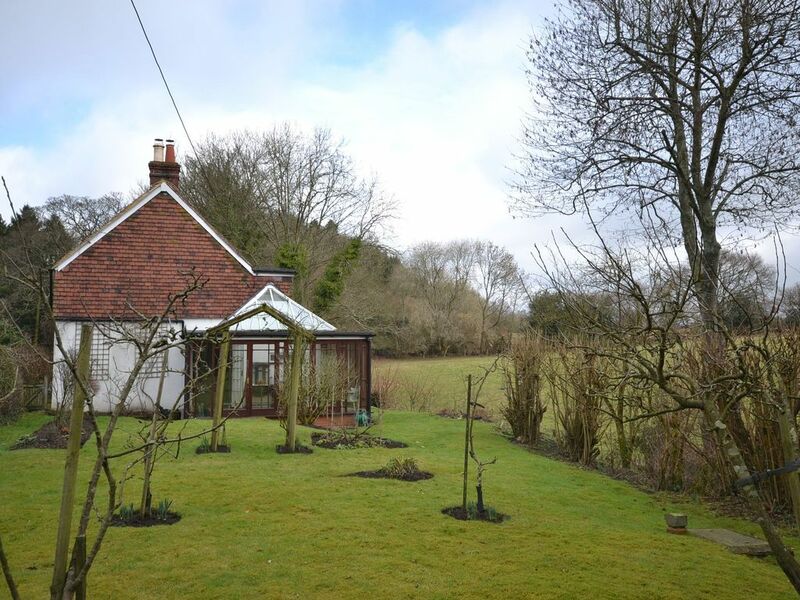 On the outskirts of Petersfield this tranquil retreat is a pleasant spot to rest after a day amongst the hustle and bustle of hitting the shops of the nearby cities such as Guildford, Portsmouth or even Chichester. Downgate Villa is beautifully designed throughout. Entering the house through the front door you are welcomed by a small porch which leads straight into a traditional cottage living room, with quirky features throughout, you will love how cosy and traditional this cottage feels. Leading straight off the living room is a small kitchen with the most beautiful views of the land in front where you may see horses from time to time pass your window. This kitchen is equipped with a kettle, cooker, fridge, microwave and toaster. The next room from the living room is the conservatory, this bright room has a great panoramic view of the hills ahead and also the garden to the right, there is no better place to sit and snuggle down to read a book&hellip;..if you are not too busy soaking up the views! There is a downstairs bathroom with a shower over the bath. Upstairs there are three large bedrooms, one twin room and two double rooms. The double bedroom at the back of the property benefits from the wonderful views the house has to offer. There is also a WC upstairs. Outside there is a large quintessentially British garden, and a drive enough for 1 car, but a layby to the back of the house which would also offer more parking to guests. Downgate is a lovely home away from home. It has been styled and put together with real thought and is fantastic for families or a group of people who need different areas and not feel on top of each other. It is very quiet and much nicer than staying in a hotel for a week. Many thanks.